Brookfield Homes for Sale | Louisville, Kentucky | Brookfield Real Estate | Louisville MLS | Joe Hayden Realtor - Your Real Estate Expert! View all Brookfield Homes for Sale on the Louisville MLS listings below! Brookfield real estate is located off of Shelbyville Road in Eastern Jefferson County near Louisville, Kentucky. The subdivision of Brookfield is being developed by Dominion Homes in conjunction with another developer to provide quality, mid-priced new homes in a great location. The development will eventually become part of the larger community of newer developments, subdivisions, and neighborhoods that are beginning to populate the Shelbyville Road and Flat Rock Road corridors. Brookfield homes will feature the latest Energy-Star rated construction materials and mechanical systems to ensure that the homes meet strict energy-saving standards to the benefit of the home owners. Residents of the neighborhood will enjoy the conveniences of a fantastic, growing community constructed in one of the best locations in Louisville. Homes for sale in Brookfield are going to span a range of prices as the neighborhood grows, but you can expect initial average prices to be in the low to mid-$200,000s once the subdivision is complete. Brookfield homes are going to feature popular floor plans, elegant facades, peaceful surroundings, plus the latest in modern construction techniques and materials. For example, Dominion Homes goes to great lengths to promote their quality of construction, the innovation in their architectural designs and floor plans, plus their affordability for the typical home buyer. These features alone will draw many curious home buyers to the area to give consideration to new construction in the East-end of Louisville. Best of all for the first residents to build a home in the subdivision will be the fact that they can customize and upgrade their new home as they see fit to ensure that it meets all of their housing needs. 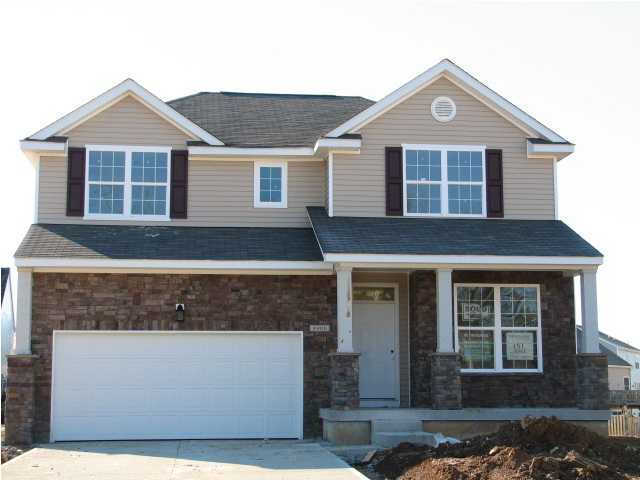 Give consideration to having a new, affordable, stylish home constructed for you in the Brookfield subdivision, one of Louisville's newest housing developments. You can search the Louisville MLS listings below for a new Home for Sale in Brookfield and begin your journey to owning a new home in a great location!